Location: 1515, Gil Court, Dixon Cali. You may have another mod to worry about taking throne over this one soon. I'm thinking about an item mod similar to this, only with a bigger grid and more of the capability to build a real SNES. And I mean this mod will compete in almost every way possible. But in the meantime... THIS IS AN AMAZING MOD! 1)How do the circuits interact between layers? Is there something like a tiny version of Red Power's Jacketed Cable to connect points between layers? 3)Should we expect similar in-world wiring options to what was in Red Power? 5)Wire with vanilla-style signal levels? 6)What, other than the demonstrated use in debugging a circuit and the function as a very tiny light source, do you use the lamps for? Just curious if there's something you like to do with them personally that may not be obvious to the rest of us. WHY has no-one thought of this. 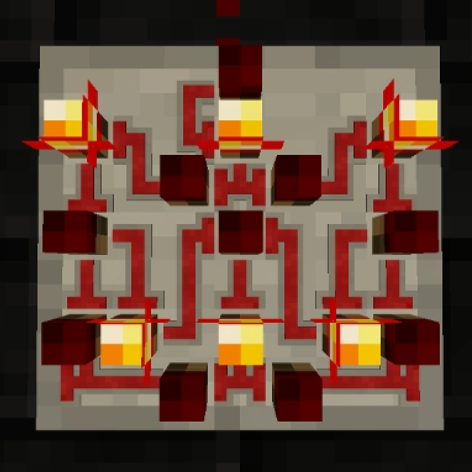 I reminds me of the integrated circuits from 1.7.10 but much simpler and easier to see and use. I really like the feature to hide the rendering as well. Nice job! Also, already read the comments I see you're planning an in-world version of the wires, this could very well be a successor to BluePower/Project Red! You need to update Minecraft Forge. Help!! I Crashed because of awesomeness!!! P.S. thanks for the LOLCAT translation! my game crashes every time I open it!!!!!!!!!!!!!!!!!!! This is what crashlogs are for. How many exclamation marks you add at the end of "my game crashes" won't fix your crash nor tell me what's going wrong. Report it in the issue tracker and provide a pastebin of the crashlog. Still doesn't help. I need a crashlog or I won't know what went wrong. https://pastebin.com/Qme1YnEd Is this going to help?